In 2007, Dallas-based hand and plastic surgeon—Joshua Lemmon, MD—joined the team at Regional Plastic Surgery. He is highly regarded in his field and has received numerous awards for his excellence. Dr. Lemmon has been selected ten years in a row as one of the best doctors in Dallas, and awarded six times in Collin County by his peers and D Magazine. Dr. Lemmon has a focused practice on plastic surgery, in addition to surgery of the hand, wrist, and microsurgery. He has a special interest in nerve compression (carpal tunnel syndrome, cubital tunnel syndrome), arthritis of the hand and wrist, wrist arthroscopy and minimally invasive upper extremity surgery, hand trauma and fractures, and complex upper extremity reconstruction. Dr. Lemmon is a native of Columbus, Ohio. He attended the University of Dayton (Dayton, Ohio), earning his bachelor’s degree in chemistry and playing as an Academic All-American football player for the Flyers. He then went on to medical school at Case Western Reserve University in Cleveland, Ohio and earned his medical degree in 2001. During medical school, he was an invited member of the medical honor society Alpha Omega Alpha, which is reserved for the top ten percent of medical students. 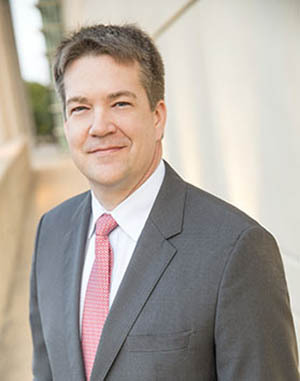 At the University of Texas Southwestern Medical Center in Dallas, Texas, Dr. Lemmon completed his integrated plastic surgery residency in 2006. As a resident, he received honors for excellence in teaching. Following his residency, Dr. Lemmon completed additional fellowship training in Surgery of the Hand, Upper Extremity, and Microsurgery at the University of Pittsburgh in the Department of Orthopaedics. This combination of orthopaedic and plastic surgery training permits an all-inclusive approach to management of bony and soft-tissue problems of the hand and upper extremity. Dr. Lemmon has been published in peer-reviewed national journals and has been honored to make presentations at national meetings. He is a candidate member of the American Society for Surgery of the Hand and the American Society of Reconstructive Microsurgery. Dr. Lemmon is a gifted educator and remains involved with the prestigious Department of Plastic Surgery at the University of Texas Southwestern. There, he trains both residents and fellows in the art of hand surgery. He is also a vocal advocate for hand surgeons in the Dallas area.